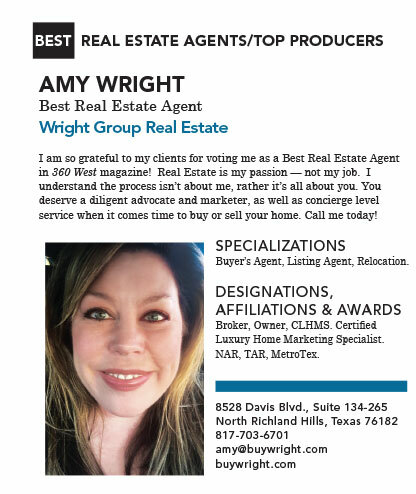 I am so grateful to my clients for voting me as a Best Real Estate Agent in 360 West magazine! Real Estate is my passion — not my job. I understand the process isn’t about me, rather it’s all about you. You deserve a diligent advocate and marketer, as well as concierge level service when it comes time to buy or sell your home. Call me today! Buyer’s Agent, Listing Agent, Relocation. Certified Luxury Home Marketing Specialist.